This August, the lovely hill town of Tomohon near Manado in North Sulawesi Province, will be covered with an array of flowers in a variety of colors that open into full bloom when the Tomohon International Flower Festival gets underway on August 8th to 10th, 2018. 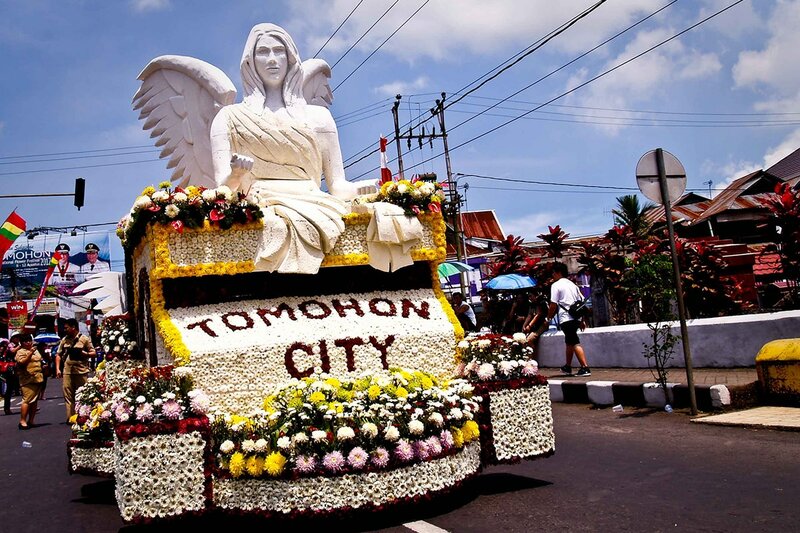 Together with participants from across Indonesia, floats from 2 European countries and 1 Asian have already confirmed joining this year’s Tomohon International Flower Festival. These are: The Czech Republic, Georgia, and Japan. Moreover, members of the Council of Asian Flower Exhibition (CAFE) will also make their presence felt at this gorgeous flower festival.